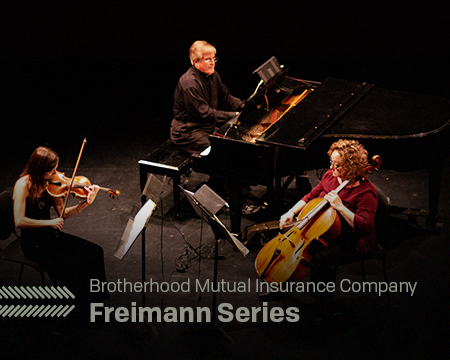 Hear the musicians of the Philharmonic up close and personal in this four concert series featuring chamber music performed by small ensembles. The Wednesay evening performances are located at the Parkview Physician's Group ArtsLab. Disillusioned, Brahms was about to give up composing when he heard a performance by an extraordinary clarinetist whom he excitedly described as ‘the greatest wind player alive.’ This inspired the nostalgic, autumnal Clarinet Quintet, a work of unabashed sentimentality and grace. Beethoven’s C♯ minor Quartet was a personal favorite of the composer, a work about which Schubert remarked, "After this, what is left for us to write?"